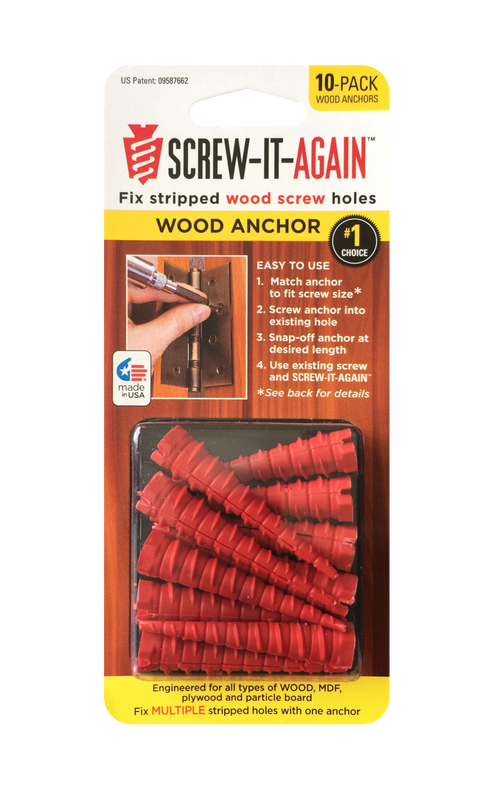 Want to repair a stripped screw holes in wood? One of the most frustrating experiences in home repairs is figuring out how to fix a stripped screw hole in wood. All the current ways are time-consuming, tedious and worst of all – the fix always seems to fail again. 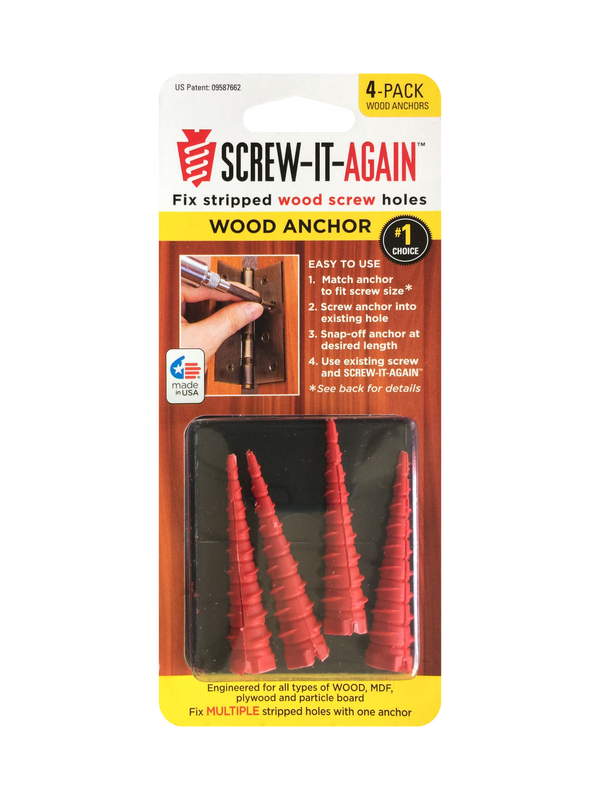 With the Screw-It-Again wood anchor, you can avoid that frustration and quickly repair those stripped holes in less than a minute – once & for all. 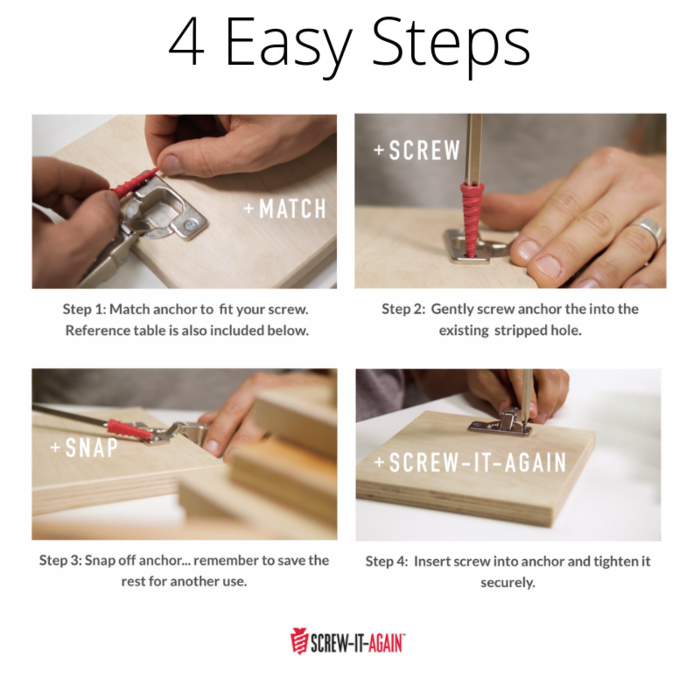 The 4 Pack is ideal to fix cabinets, tables, chairs, etc. 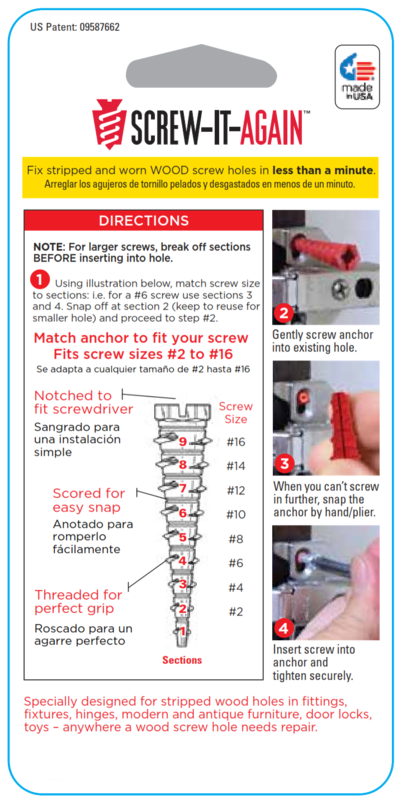 The 10 Pack is ideal to fix doors, door jams, multiple issues..